There were 264 press releases posted in the last 24 hours and 153,573 in the last 365 days. SAN DIEGO, CALIFORNIA, UNITED STATES, July 10, 2018 /EINPresswire.com/ -- Olympia School District has officially partnered with Purplepass Ticketing to modernize their school events not only to improve the experience for the students but their families as well. Purplepass Ticketing is planned to be utilized across the entire school district. With about 11,300 students, teachers and staff within the district, the schools host a variety of different events throughout the calendar year from theater and performing arts to sporting events. 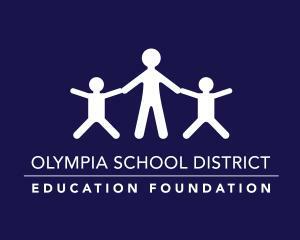 With technology increasingly becoming more intertwined in our everyday lives, the Olympia School District is taking the next step towards the future by incorporating a digital ticketing system for their schools. Capital High School is planning on utilizing Purplepass ticketing for their football games to create more user-friendly and efficient ways to find out about events throughout the school district, select seats, and purchase tickets. Through this partnership, they have access to seating charts designed by Purplepass, online ticket sales, all the equipment needed for checking tickets at the door and more! Purplepass provides an easy-to-use check-in system that syncs with Facebook allowing you to connect with friends, family, and other people attending the event online. With a variety of venues across the district, multiple users can create and manage their events through their Purplepass ticketing account. Purplepass is a full-service event organization company that makes managing your venues smooth and straightforward. The Purplepass team is excited to service the Olympia School District to help make their events more fun for parents and more relaxed for the school. This partnership is a glimpse into our near future by allowing technology to improve school systems and making everyone's lives a little easier. To guarantee smooth events, Purplepass is providing the district with pro ticket scanners and Ipads, allowing access to accounts to be at their fingertips, as well as cash drawers and receipt printers. Purplepass Ticketing provides full-service presale and admission management for all types of events, including concerts, festivals and now schools. You can reach the company through its website, or you can connect on social media. See what Purplepass Ticketing is all about! Celebrate Israel Festival Marks Israel's 71st Independence Day! U.S. Sand Sculpting Challenge and Dimensional Art Exposition is back this labor day powered by Purplepass Ticketing!